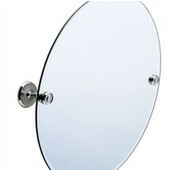 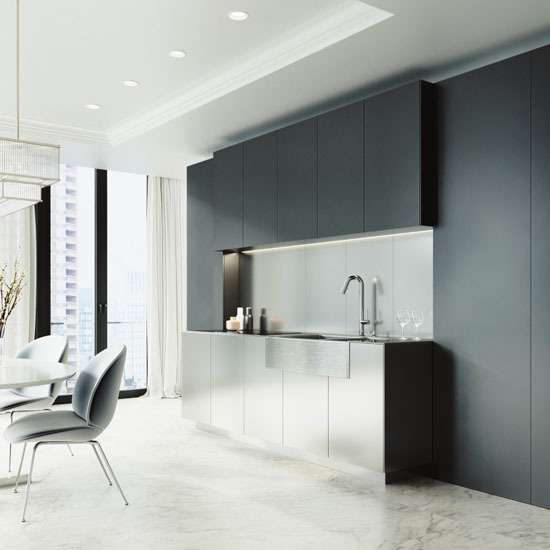 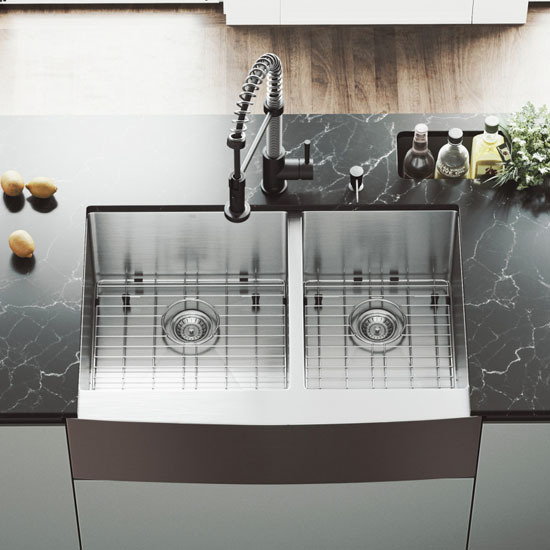 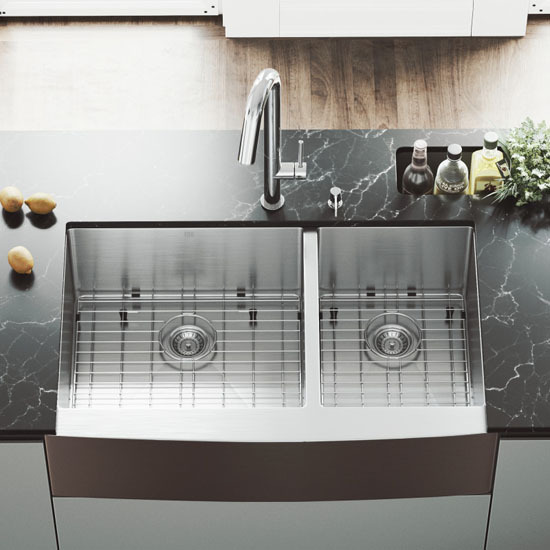 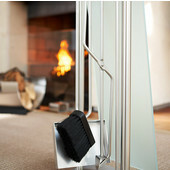 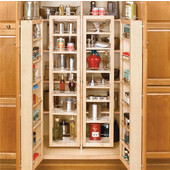 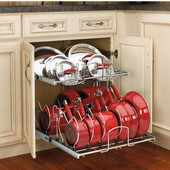 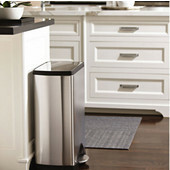 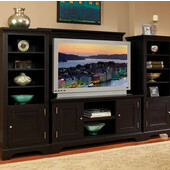 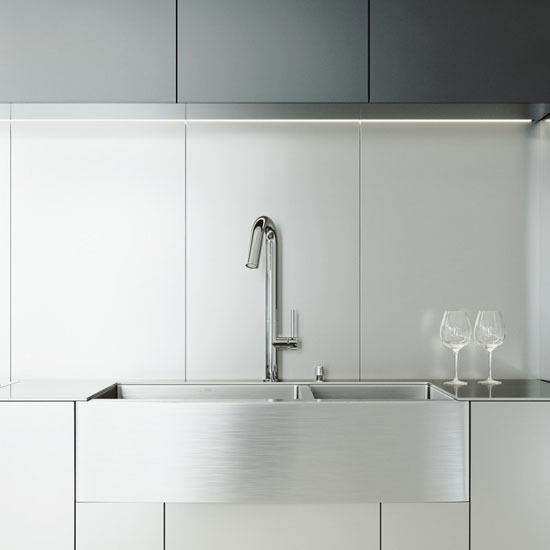 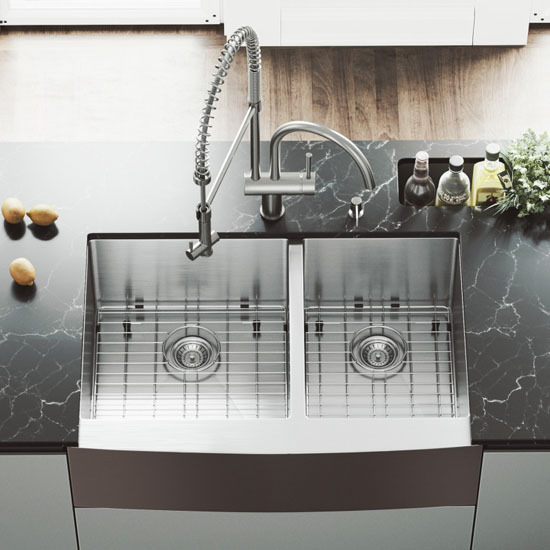 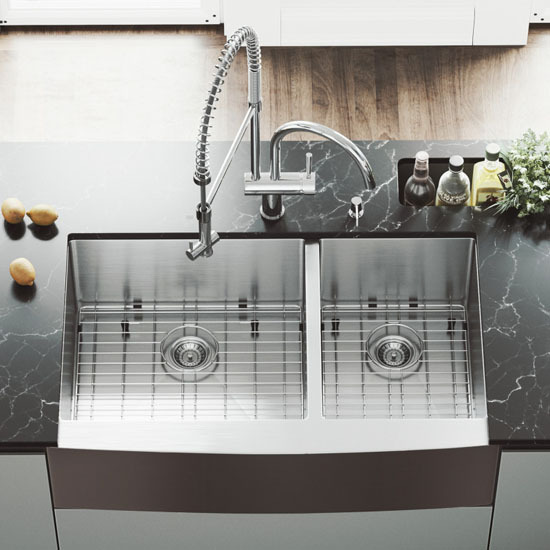 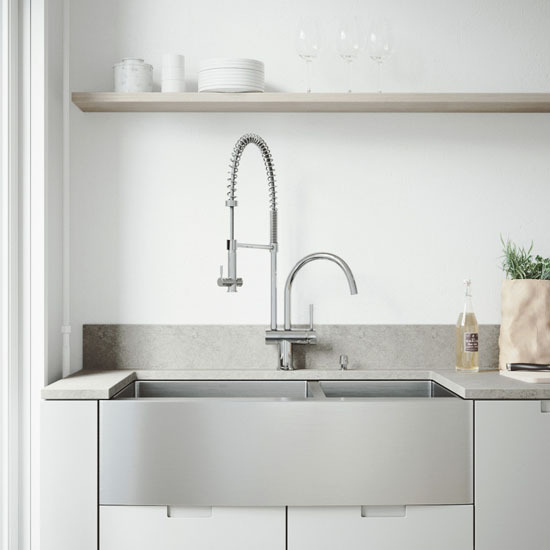 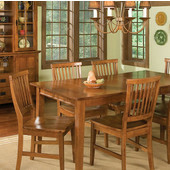 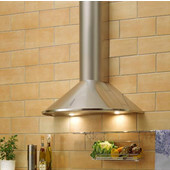 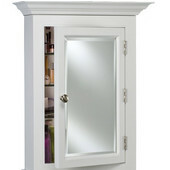 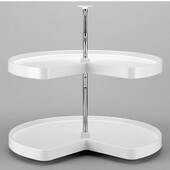 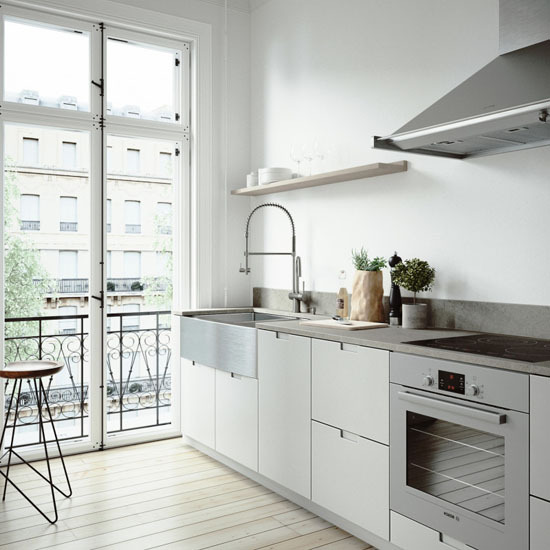 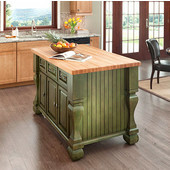 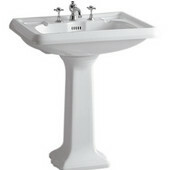 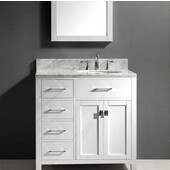 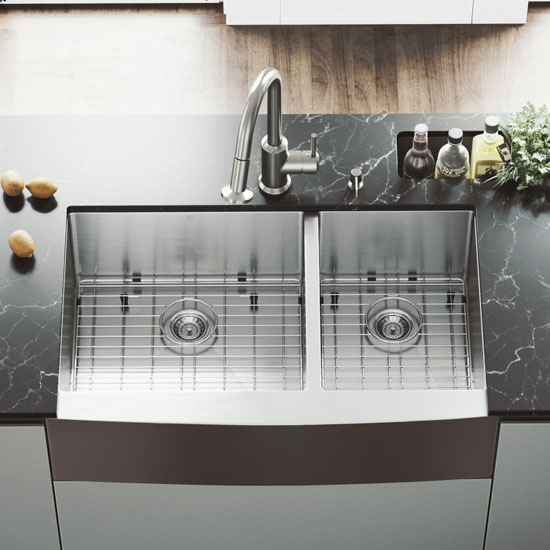 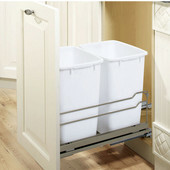 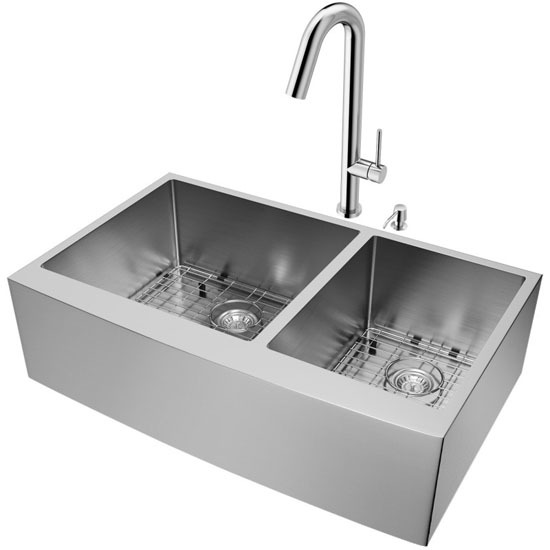 Required Interior Cabinet Space: 33"
Some features are only specific to certain faucet models. 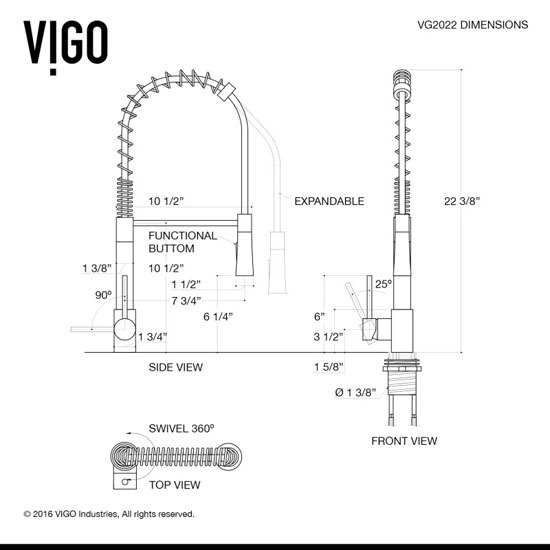 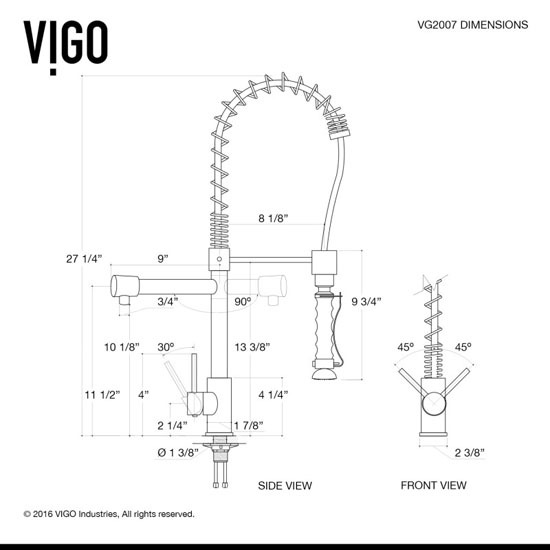 Please see the Specifications of each individual faucet below to determine which faucet's features best suit your needs. 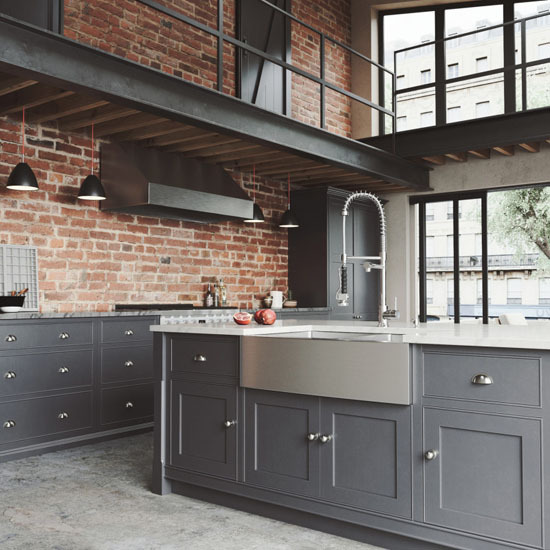 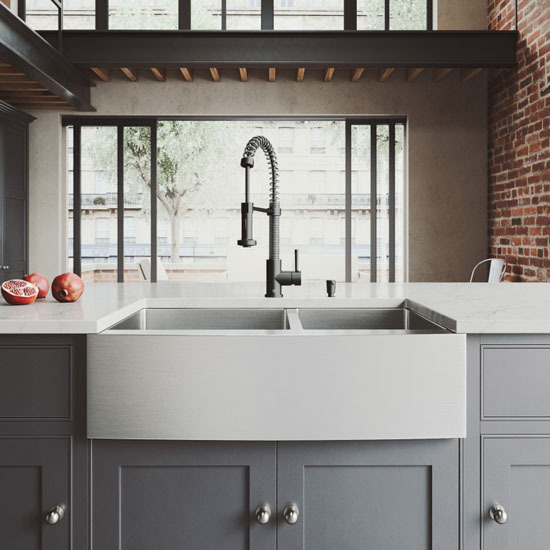 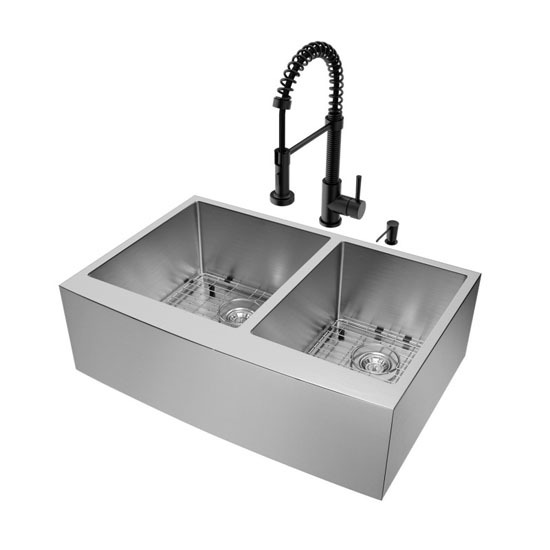 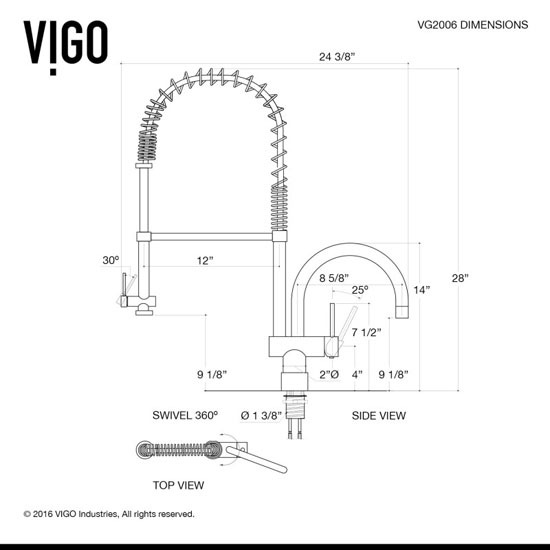 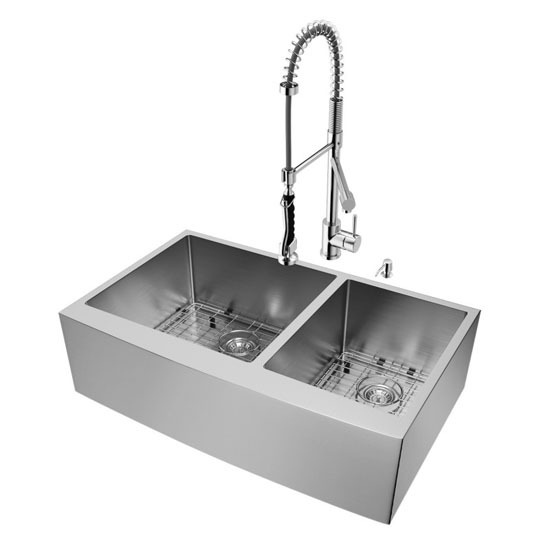 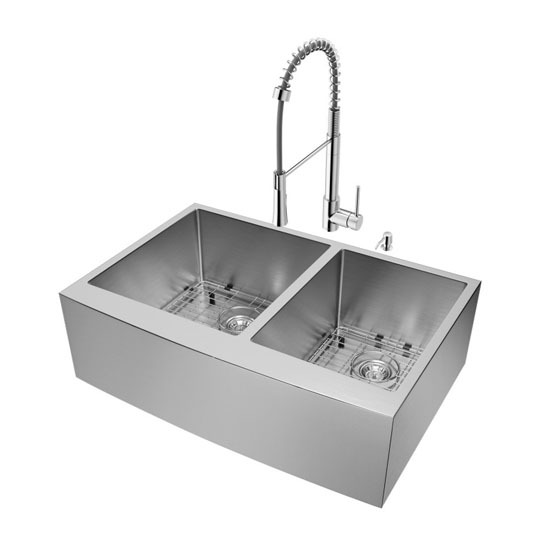 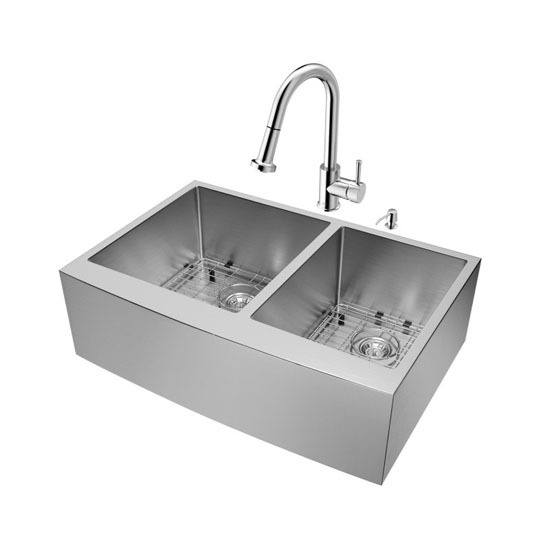 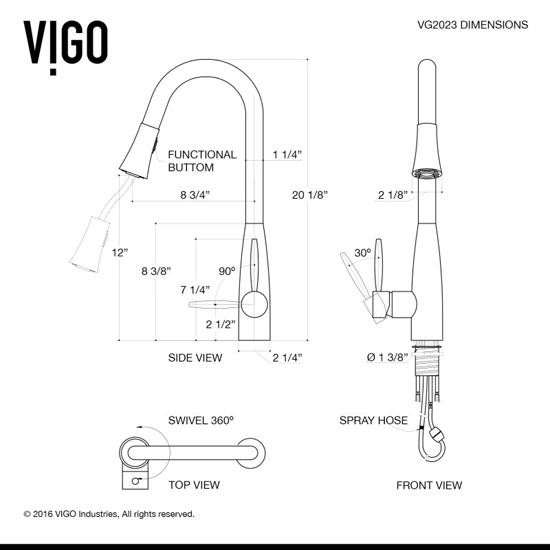 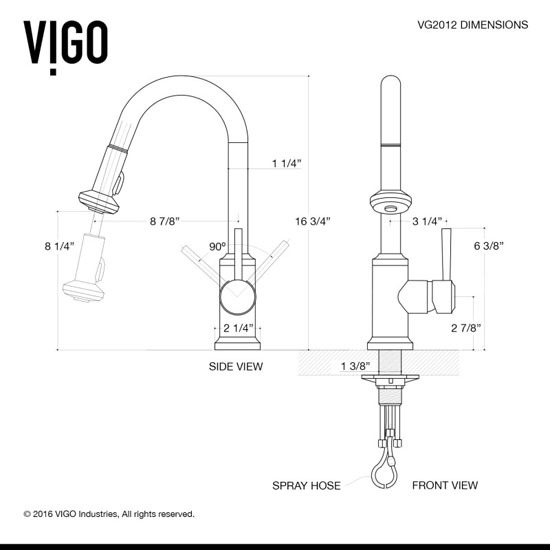 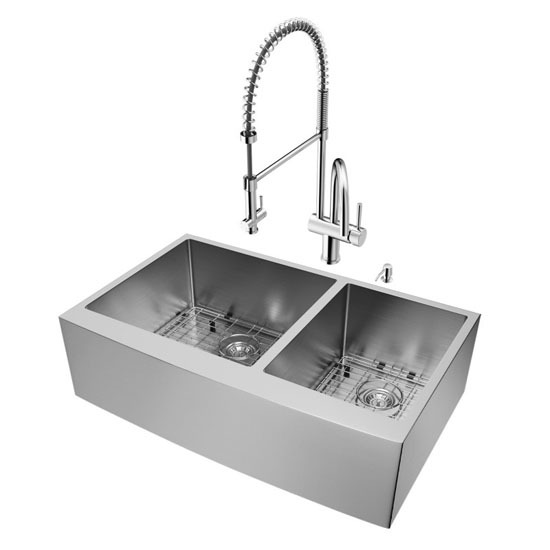 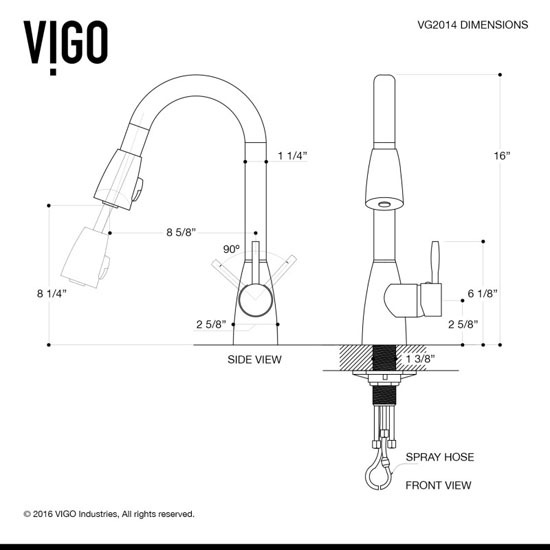 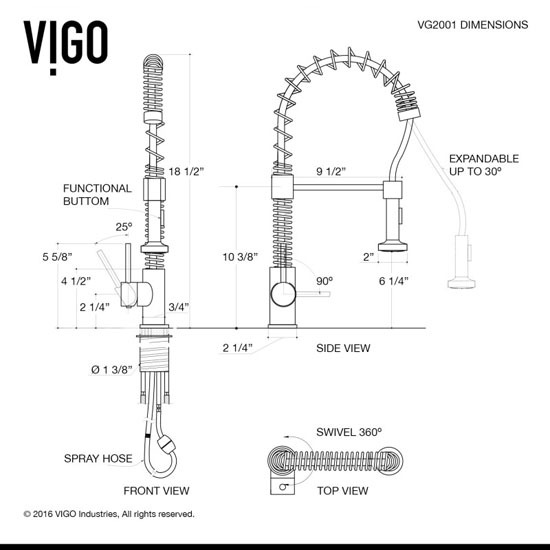 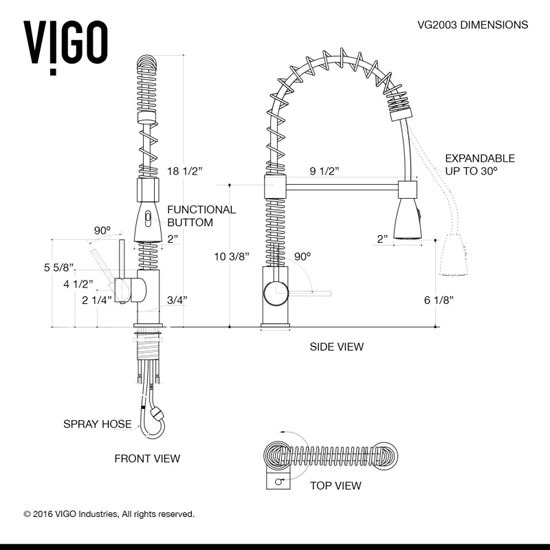 The Vigo 33" Bingham Stainless Steel Double Bowl Farmhouse Kitchen Sink and the Vigo Laurelton or Milburn Pull-Down Spray Kitchen Faucet are ideal for modern kitchen needs. This farmhouse sink makes for a durable addition to your kitchen upgrade, and features 15mm radius corners for a unique look. 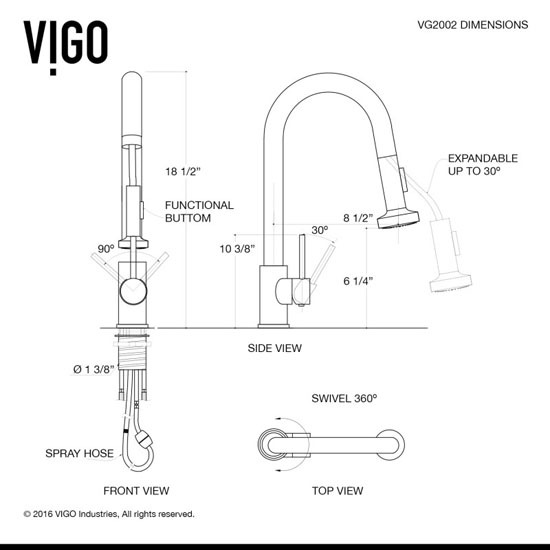 The spray face on the faucet resists mineral buildup, ensuring your faucet will stand up to years of dishwashing. 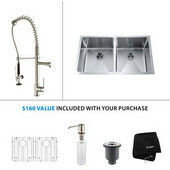 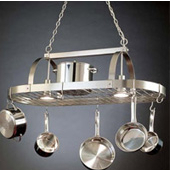 This set comes complete with protective sink grids and strainers for each bowl and matching chrome soap dispenser. 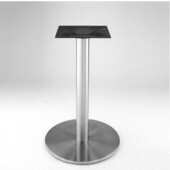 Large Grid Dimensions: 16-5/8" W x 17-3/4" D x 1" H, Corner Radius: 5/8"
Small Grid Dimensions: 12-3/4" W x 17-3/4" D x 1" H, Corner Radius: 5/8"
Soap Dispenser Spout Reach: 3-5/8"